Save 15%-36% Off List Price! Jacquard Textile Colors are a medium consistency fabric paint that delivers great value for your money. These colors leave your fabric as soft as possible. The color is intense and semi-opaque. This product is absolutely colorfast on natural or synthetic fabrics when heat-set by ironing according to the manufacturer's directions, or fixed with our No Heat Fixative for paints or Jacquard's Airfix. Fluorescent 32oz. 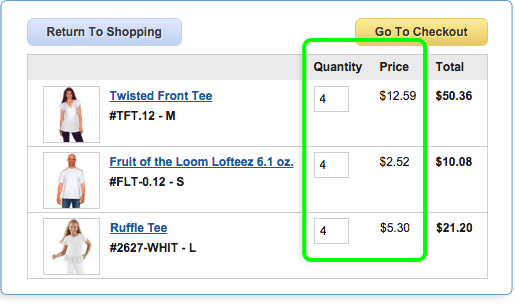 (Quart) sizes (#151-157) are special order items. Due to lack of interest, they were going bad sitting on the shelves in our warehouse. So, to insure you get a fresh batch, we'll order them especially for you! 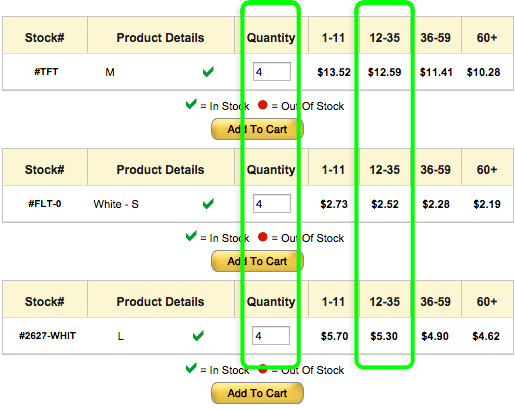 Turn around time is a minimum of one week and a maximum of two weeks, depending on the ordering schedule. Give us a call for more information. Jacquard Textile Colors are a medium consistency fabric paint that delivers great value for your money. These colors leave your fabric as soft as possible for a paint of this medium consistency. The color is intense and semi-opaque. This product is absolutely colorfast on natural or synthetic fabrics when heat-set by ironing according to the manufacturer's directions. Mixing Colors: Right out of the bottle Jacquard Textile Colors provide you with 37 gorgeous colors - plenty for many projects. But if you need more you can easily mix the colors to make any color you desire. The Fluorescent colors glow brilliantly under a blacklight for those special effects! Creating Pastels: You can mix #123 White into any other color to create pastels. Try mixing in a little at first and then adding more if you want to increase the effect. Increasing Transparency: You can increase the transparency of any color by adding #100 Colorless Extender to it. The more you add the more transparent the color will be. They also mix beautifully with Dye-Na-Flow and Lumiere & Neopaque. 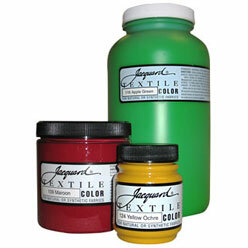 Jacquard Textile Colors are a great medium for Pearl Ex Powders - make your own metallics! Application: Jacquard Textile Colors can be applied with brushes, stamp pads, squirt bottles, and airbrushes. 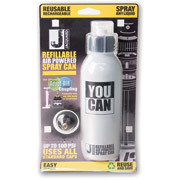 For airbrushing thin with water up to 25%. Ironing: This is the best method. Use a dry iron and iron on the reverse side (for thinner fabrics) on the appropriate setting for the fabric. For thicker fabrics like fleece, iron on the painted side, using parchment paper or a thin press cloth over it. 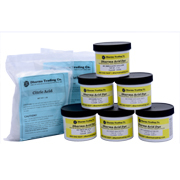 Fixative: Mix in 1-3% (1/2 - 1 1/2 tsp per 8 oz Paint) of our No Heat Fixative (see below) in with the paint you are going to use right before you use it. Then let the project dry and cure for 4-6 days, and it will be washable. This method actually results in the paint being even softer than ironing. Dryer: Have the dryer on as hot a temperature as the fabric will take for about 35 to 45 minutes. This often doesn't work as well as the methods above if your dryer doesn't get hot enough. Dryers do vary. A word on freezing: As of February 2017 the textile paints no longer have the same issue with freezing thanks to a change up in stabilizing agent. If your paint happens to freeze take the container and set it out someplace it has a chance to completely thaw. It is very important that the whole container has had adequate time to thaw. Mix the defrosted paint vigorously and apply as usual. A word on "fluorescents" :While these colors are incredibly brilliant they will only weakly fluoresce. The Violet and Blue are particularly subdued under black light. 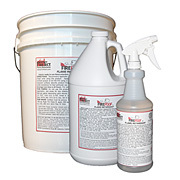 "No Heat" Fixative makes your paints lightfast and washfast without heat setting. What is the difference between Dye-Na-Flow, Textile Colors, and Lumiere & Neopaque? Dye-Na-Flow is a very thin and fluid textile paint that has the consistency of water. 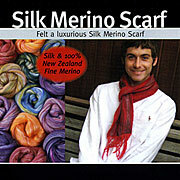 It can be used for water color like washes and silk painting techniques including Serti. 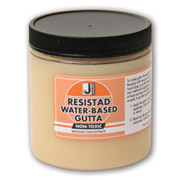 It can also be sprayed on and used for non-toxic and Faux Tie Dye or Batik techniques. Textile Colors are medium bodied semi-opaque paints ideal for fabric painting with a brush detailed designs, can also be used for stenciling, block printing and many other techniques. Lumiere & Neopaque are lighter bodied than the Textile Paints, and are suitable for various surfaces such as leather, paper, & fabric. Still a nice consistency for handpainting. They are both heavily pigmented and very opaque and excellent for covering dark materials. The Lumiere line is a gorgeous assortment of metallics & pearlescents. Can I mix Jacquard Textile Colors with Dye-Na-Flow and Lumiere & Neopaque? How do I use Jacquard Textile Colors for stamping? You can use it straight from the bottle. Try applying it to the stamp with a sponge brush or make up sponge, or a brayer. Better for block like stamps. Must be thinned to use with finer detailed rubber stamps. Can I thin the Jacquard Textile Colors for airbrushing? Absolutely. 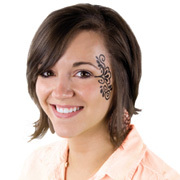 It can be diluted with water by up to 25% to pass through an airbrush. Make sure that you are using a dry iron at the correct temperature setting for the fabric. If you don't heat set at a high enough temperature for a long enough time, the paint may not be thoroughly set. Sometimes if you are using a top loading washing machine, it can abrade the paint from the fabric. Pre-washing fabrics before doing any surface treatments to remove any factory sizings may also help. Don't paint more layers of paint on top of each other, because paint has more trouble sticking to a slick already painted surface than the fabric surface. Are Dynaflow, Jacquard Textile Colors, and Lumiere/Neopaque dry cleanable? Yes. Once properly heat set, these paints are dry cleanable. When do I use the Colorless Extender? 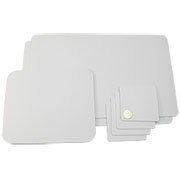 Colorless Extender is the medium-bodied clear acrylic base for the Textile Colors. Mix it into any other Textile Color to create more transparency without changing the consistency of the paint. 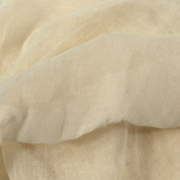 For a transparent metallic shimmer, try adding some Pearl-Ex Powdered Pigments to the extender for use on fabric. Heat set as usual. What are the ways to heat-set textile paints? Heat setting is necessary with most Fabric Paints to lock the color into the fibers so it's washable. (Paint must be thoroughly dry!) There are a few different methods. Ironing is a major home option. Preheat the iron at the maximum temperature safe for the fabric. Most paints say to iron each spot for 2-3 minutes. Using Aluminum foil can cut back on this time. Place aluminum foil on the ironing board with the shiny side up. Put the fabric over that with the painted face down. Place another sheet of foil on top, shiny side down. Each square foot must be pressed for 15-25 seconds keeping the iron moving so as to not scorch the fabric. (Irons are not created exal! Inexpensive light weight irons sometimes don't get hot enough). A commercial dryer that reaches 250° minimum can be used for 30-45 minutes depending on the fabric and fabric paint used. The dryer must be preheated and please note that home clothing dryers usually don't get hot enough. Another method is using a commercial conveyor type oven: 350° for 3 minutes, 2 passes if necessary. A home oven can be safely used (except for accessories that have plastic inserts! ), 250° for 25 min. Coil the fabric in a loose roll and lay it on some paper, not allowing the fabric to touch the side or rack of the oven. All temperatures and amounts of times are dependent on the fabric, fabric paint, amount of coverage and equipment used. TEST! To eliminate heat setting, try Versatex's No Heat Fixative! 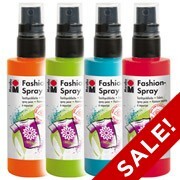 Works with most brands of fabric paints. If you do a lot of fabric painting, this could change your life! Arrrrrr matey! The Baby Pirates are taking on the Baby Ninjas, make sure your littlest crew member is properly attired! Step by step tutorial on creating your own painted lampshade. Step by step tutorial on creating your own hand-painted parasol. Step by step tutorial on creating your own Christmas themed hand-painted chair cover. Set contains: Eight 2.25oz. jars (101 Yellow, 103 Orange, 106 True Red, 110 Violet, 112 Sapphire, 117 Emerald, 122 Black, 123 White). Set contains: Eight 2.25 oz. jars: (151 Flu. Yellow, 152 Flu. Orange, 153 Flu. Pink, 154 Flu. Red, 155 Flu. Blue, 156 Flu. Green, 157 Flu. Violet, 122 Black). If you don't want to heat set your fabric paints then instead add a small amount (1-3%) of this fixative to your paint. Apply as usual and let sit for 5 days. Wash out excess paint as usual. Done! Easy to use and doesn't smell bad. 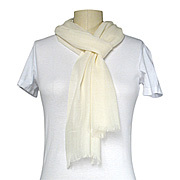 Inexpensive with very bright colors. I recommend this paint for beginners and those on a budget. I enjoyed using this textile paint. It was easy to apply (stenciling) had good flow and coverage and lasts through the wash. Great color choices and my customer loved the end-product. I used this paint on a faded 7 year old nylon outside flag (on the nylon letters only) with the versatex fixative in it and it really looks good. It is holding up to the wet weather. Make sure the area you paint is free of dirt and any fabric sizing. (follow directions) My flag has been through two rainy days. So far it's held up. Getting ready to do another advertising flag. 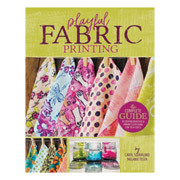 I like this the best of all fabric paints. It thins beautifully layers well and cleans quickly. Really good product. I used it to spray my dining and kitchen chairs that was faded due to time. Combined with the no heat fixative it's like I have brand new chairs. I over estimated and should have bought 2 quarts instead of a gallon for 10 chairs. I will definitely order another color to do my living room sofa. Awesome Paint!We used this paint for one of our three huge quilts with adult hand prints. The other two had the so soft opaque which I chose because it didn't need to be heat set. I couldn't get the colors I needed for the third quilt so I got this. Both paints were exceptional but I think I liked this one better. It is a little thinner and I liked the way it spread on the hands a little better. (even though the other had a nice little squeeze spout) Clean up was a breeze and the coverage is great. The fabric was soft even before washing. Heat setting was easy. I used a piece of foil under & over the fabric with both shiny sides towards the fabric. You will not be disappointed with either product but I enjoyed this one better. Great product easy to work with! I had the privilege of creating a comic character (Poison Ivy - the New 52) to cosplay with my daughter. All black body suit with ivy covering a swirl down around her body. Costume came out ahhhhmazing. I dont know what I would have done without this product. I ordered many colors of the Jacquard Textile paints...all were excellent quality and vibrant strong colors. They covered the materials easily and were easy to blend and mix. Perfect! What a glorious shade of blue! It "waters down" well and goes from a rich Aegean blue (full strength) to an almost back-lit sky blue. Excellent product! Looks so strong - fuchsia really - in the bottle but "waters down" (I added water for a water-color effect but to preserve the paint effect on would use white to the same effect) fades out to a beautiful clear pink almost back-lit. Stunning color and so versatile. Actually I ordered the colorless extender #100. I have used it for years to seal colored pencil media on cloth and it's a great product. Very little needed and it doesn't bleed like most fabric mediums. I can highly recommend it. This is a wonderful product. 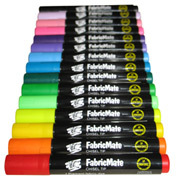 I use it as a sealer for colored pencils and other non-paint mediums on fabric. It takes very little and dries clear with a soft hand. I highly recommend it to my students and others who ask about my techniques.